This is second part in a series of posts on ecommerce customer lifecycle management. In the first part we discussed an overview of CLM and in this post we’ll discuss how to identify, measure relevant customer lifecycle metrics and define goals to improve them. Total Users: Users with email id/phone number/apn or gcm id. Total Customers: Users that have ordered at least once. 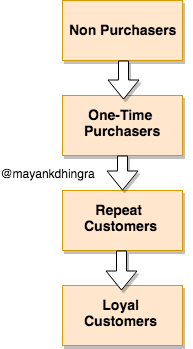 Total Repeat Customers: Customers that have ordered more than once. 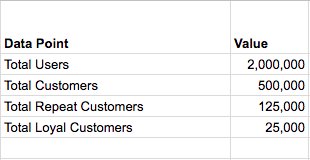 Total Loyal Customers: Customers that have ordered more than Z times. 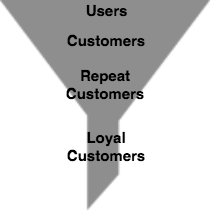 We’ve mapped the lifecycle into these four basic funnel stages because they represent a user action based milestone. This grouping of users is important because users in each stage share a lot of similarities in their experiences(or lack of) with the product and the kind of nudges required to help them move to the next stage. 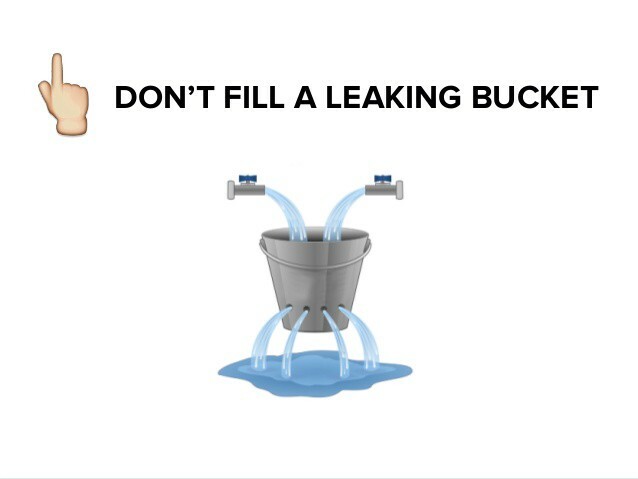 A mistake most marketers tend to make is to send the same communication to all users. It’s wrong to assume that the same communication will work for both ‘Non Purchasers’ and ‘Repeat Customers’. At a high level, this table above tells you all there is know about the business and the levers to improve things are the conversion rates that correspond to each stage. 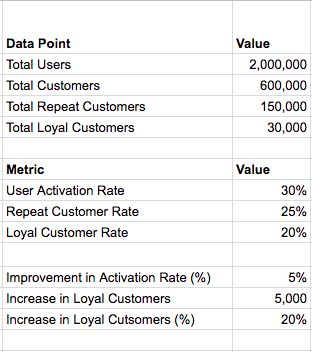 These Key CLM Metrics are E-commerce equivalent to the human body vitals. 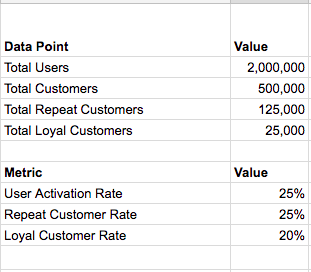 As a growth guy, I lay extreme emphasis on these CLM metrics because they help me understand the current state of things and point towards directions that need the most work. 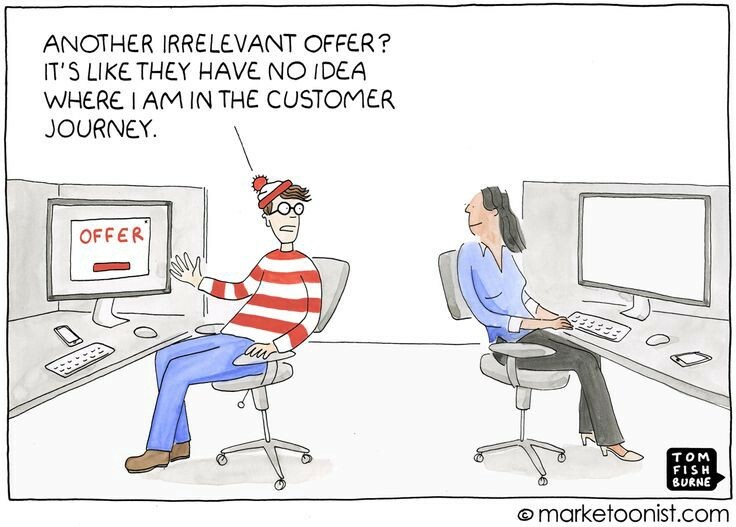 Customer acquisition is just half the battle won. 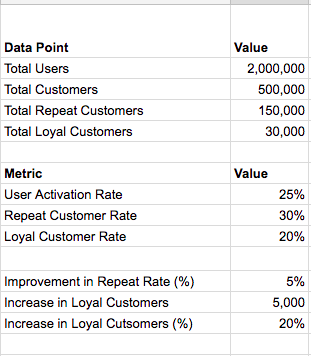 Since User Activation Rate impacts the top of the customer funnel and a small improvement here will have the maximum impact in both customer count and revenue, it is paramount to improve it ASAP. If there are a lot of folks who are placing orders but aren’t coming back to buy again this could be a serious problem. This metric needs to be looked from multiple perspectives — Product Quality, Post Purchase Experience, Post Purchase Communication and such. 3. 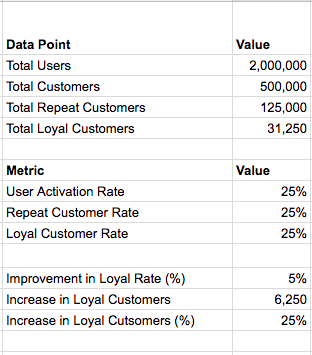 Increase Loyal Customer Rate (Easiest Improvement Area) — An improvement by 5% here will translate into 25% increase in Loyal Customers. In my experience I’ve found this metric easier to influence than the repeat rate. Customers that have made multiple purchases are comparatively easier to retain & re-activate. You also have the most behavioural data about them. 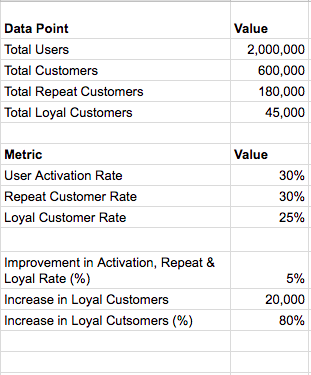 Here’s a quick summary showing the impact of a 5% improvement in each key metric on One Time Purchasers, Repeat Customers and Loyal Customers. The table above summarises the impact pretty neatly. In case, this is looking exciting, let me add to the excitement by showing you the improved numbers in a case where you are able to increase each key CLM metric by just 5%. With these three broad CLM goals defined and projections explored, we have a task cut out for the marketing/growth team to make plans around. In this post we’ve focused on identifying the Key CLM Metrics and Defining CLM Goals. In the next post in this series we’ll discuss some strategies to achieve these goals. This entry was posted in e-commerce, marketing, start-up and tagged clm, ecommerce, email marketing, growth, lifecycle marketing on August 16, 2018 by mayank.